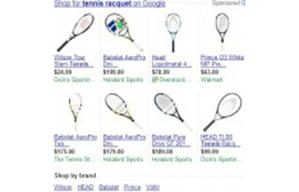 Google Lets Affiliates Bid In Google Shopping: What Should Merchants Do? Last month, Search Engine Land alerted us to the beta release of Google Shopping for affiliates, a change that had been coming for many months. As the affiliate industry continues to grow, it only seems natural that one of the largest presences on the Internet gets involved. Essentially, affiliates will now be able to bid on Product Listing Ads (PLAs) for their merchants’ products, something they could not previously do. This benefits affiliate partners, because they have a whole new medium to explore and earn commissions from. Of course, Google also receives vast amounts of data from every view, click and sale, so they can target buyers even more specifically. How does this affect affiliate programs? Obviously, most merchants already advertise with PLAs, so allowing affiliates to advertise on the same medium could cut into sales and cause unnecessary commissions, much like trademark bidding on PPC ads. Thus far, Google has taken two steps to allow merchants to combat any sales cannibalization. First, there’s the option to simply block affiliates from advertising their products with PLAs. In a company’s Merchant Center account, there is a checkbox under the General settings tab that determines whether affiliates can advertise a site’s products. Just uncheck the box, and affiliates will not be allowed to advertise the site’s products. Ironically, online retailers have been fighting for this right with trademark bids in PPC for years. Does this mean Google is turning over a new leaf in its sentiments toward trademark bidding, as well? Only time will tell. This tab also has a section that lists all the affiliates currently advertising the site’s products, along with contact information. If merchants want to allow certain affiliates to use PLAs, but not others, they can manually contact each affiliate and ask them to discontinue their PLAs. Google is also putting merchants first by giving merchant PLAs precedence. No matter how many PLAs are being run for a product, if the merchant is offering an item, that ad will always show up before any affiliate ads. This varies from PPC ads, where quality scores and bids determine the placement of ads on the site. Therefore, presuming customers don’t look past the first ad, merchants should always have no problem getting most, if not all, clicks from PLAs. While this method is not foolproof, it’s an intelligent maneuver from Google, since most merchants will enjoy remaining first and will continue to use PLAs. What should my affiliate program do? If your company does not currently use Google Shopping to advertise with PLAs, the addition of affiliates to the program will be great for you. Your affiliates can use these ads to drive customers and sales to your site, all without you lifting a finger. Similarly, if you’re a multi-channel retailer, you should absolutely allow affiliates to post PLAs. Even though you pay a commission on the sale, you’re getting a sale from your direct site. This is better for you than having one of your products sold by an external retailer, such as Amazon or Wal-Mart, or worse, a competitor. However, if PLAs are already a part of your advertising, you must determine your course of action. Since affiliates would be paying for the listings, they will probably only post high-conversion, high-commission products. If you don’t mind affiliates using this channel, even though it might cut into your commission-free sales, you can leave the program as is. On the other hand, if you want to keep PLAs in the control of your company, you should definitely uncheck the box in Merchant Center allowing affiliates to advertise, and update your Affiliate Program Terms and Conditions notifying affiliates that PLA listings are not allowed in your affiliate program. There are a ton of external factors to consider here, as well. Since Google also runs its own affiliate network, will those affiliates receive higher standing in the PLAs than links made through ShareASale or Commission Junction posts? Also, affiliates have been doing their best to rank organically for years. With the inception of paid advertisements, and now product listings, will organic search efforts fall by the wayside for affiliates? One can speculate that affiliates will move toward working more in the paid search area, since those ads will show up higher; of course, this means more money for Google. As this advertising medium continues to gain traction, Google will enhance the program to hopefully best benefit affiliates and merchants. For now, decide whether affiliate PLAs fit in your advertising strategy, and act accordingly.